Oh, look. 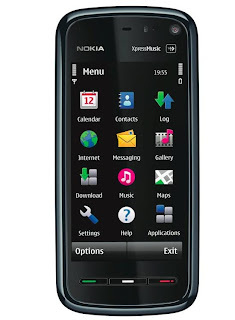 The Nokia 5800 XpressMusic (more commonly referred to as the “Tube“) announcement was right on schedule. It’s not the first time Nokia’s announced a new handset, but this is landmark stuff we’re talking about here. As it’s hinted in its namesake (read: XpressMusic), the Nokia 5800 XpressMusic will indeed be a music-centric handset, and will be one of the very first devices to support Nokia’s “Comes With Music” program. Feast your eyes on live pics and official specs after the short break.